Courtesy of Patricia Muir from Executive Encore – Maestro Quality Inc.
A few years ago, I worked with a young woman who lost her sister to a rare cancer. In the months, weeks, and days leading up to her sister’s death, I saw her struggle with her commitments to her work, her sister, and her children. Other than a few urgent phones calls at work and a few emergency-leave days, it was business-as-usual considering the major disruption in her life. Her own well-being was sacrificed – a common unspoken expectation. As is considered to be “a rule of thumb” common practice, her employer’s bereavement policy allowed for 3 days leave following her sister’s death. When she returned to work, she was greeted with condolences from a few co-workers and uncomfortable ambivalence from a few others. It’s not easy. This is one of the challenges we face with grieving in the workplace. What do we say? How do we express empathy? How do we help our co-workers and colleagues to return to work and move on? I was there the morning this young woman returned to work, when she broke down, and her co-workers seethed with anger. I was there to see the major disruption in the workplace and long-term effects caused by a serious breach of respect for bereavement, grief, and lack of compassion. This incident illustrates that there is an unreasonable expectation that we put our grief aside and return to being fully productive personally and professionally after 3 days. The reality is that each one of us has a different experience when it comes to loss and the grieving that follows. Each one of us moves through recovery at a different pace. These differences need to be understood, appreciated, and respected. The reality is that grieving never ends; it ebbs and flows; it changes in different ways and at different times. Bereavement is like being tossed into the sea with a flimsy life jacket and without a compass. Grieving is like bobbing up and down waiting for rescue. At times, our grief causes us to swim hard and use up precious energy. At other times, with depleted energy, we float on the surface with no direction. We pray that the next wave of grief does not pull us under. As with many life events, our stories are different and yet held together by common threads – whether it is your story, a colleague’s story, or mine. My story began in 2005 at the most rewarding and profitable time in my personal and professional life. My father became terminally ill. This major life event precipitated a major transition that continues to present challenges in maintaining effective business and personal performance. 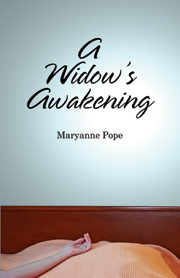 My story continues in a series of posts on widowed.ca with hope and a call to action to change current “common practices” and make the workplace a supportive place in which there is understanding, appreciation, and respect for those who are grieving. Widowed.ca and I are interested in your feedback on how we can support a movement to establish reasonable policies and practices for bereavement and grieving in the workplace. For more information on related topics, please contact DFS Private Wealth, the author of Managing Alone and founder of widowed.ca. We are here to help and answer any questions you have. Should you need a connection to a professional in your area we would be happy to make the introduction for you to someone you can trust. Contact Us today.